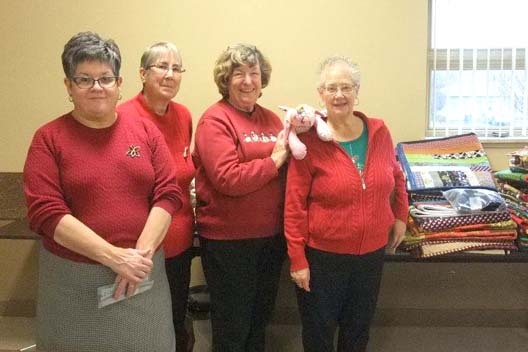 The Norfolk County Quilters Guild graciously donated beautiful quilts, pillow cases and miscellaneous quilted items to be distributed to our community families this Christmas. Seen in the photo from left to right are Darlene O’Neill, Susan Gordon, Marilyn Davis and Judy Hayes. Thank you for your kindness and generosity.